Dezeen Wire: the British Council have revealed the names of architects, curators and researchers who will gather material about exotic places to present at an exhibition entitled Venice Takeaway in the British Pavilion at this year’s Venice Architecture Biennale. The list includes London architecture studios dRMM and Aberrant Architecture, as well as London Architecture Diary editor-in-chief Elias Redstone and non-profit organisation Forum for Alternative Belfast. See all our stories about the last Venice Architecture Biennale here, or click here to read about the theme for this year's show picked by curator David Chipperfield. The British Council today announced names of the teams and individuals who will undertake explorations around the world to gather material for the British Pavilion at the 13th Venice Architecture Biennale. The Venice Takeaway brief was circulated widely during January and by 28 February the British Council had received 118 proposals. Ten ‘Explorers’ have been selected by the Advisory Panel. During April they will undertake expeditions to a variety of locations around the world. The group is made up of practising architects at various stages of their careers; a curator; writers; journalists; teachers and campaigners. Explorers’ projects will focus on case studies and examples that are pertinent to the British and international context, including housing, the design of schools, risk consciousness and the role of the architect. The exhibition will provide an injection of new ideas to the UK based on the research of the Explorers, who will travel around the world to unearth case studies. 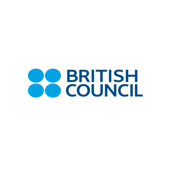 In January the British Council opened a call for participation at four launches around the UK. More than 500 people attended events in London, Edinburgh, Cardiff and Belfast. Posters advertising the brief were also circulated to schools of architecture and architectural practices around the UK. Each Explorer will conduct interviews and uncover how, and why something works. Explorers will be tasked with bringing back material including film, photography, writing and drawing. The exhibition will tell their stories and make a series of proposals for changing British architecture. Aberrant Architecture is a multi-disciplinary studio and think-tank, founded by directors David Chambers and Kevin Haley, which operates internationally in the fields of architecture, design, contemporary art & cultural analysis. From their studio in London, they strive to capture the best of the past and the contemporary in order to shape the future of the designed world. The studio has established a reputation for playful, provocative and interactive projects that use architecture and design to introduce new and unexpected ways of experiencing the world. They regularly collaborate with local community groups, design professionals and place people at the heart of everything they do. Operating simultaneously as a think tank, aberrant identify, question and research relevant issues in contemporary society in order to look beyond ‘building a building’ and to establish themselves as problem solvers as well as designers. In 2010 they were architecture residents at the Victoria and Albert Museum (V&A) and in the same year they co-founded The Gopher Hole, a gallery/venue in London, which through a public exhibition and talks programme provides a platform for critical debate on the arts and society. Smout Allen and Manaugh first collaborated for the Landscapes Futures Super Workshop hosted in LA, a cross-disciplinary research platform for debate and invention. They collaborated again for Manaugh’s Landscape Futures: Instruments, Devices, and Architectural Inventions exhibition at the Nevada Museum of Art, Reno USA, for which Smout Allen provided the centrepiece, a large user-activated kinetic installation ‘Surface Tension’. The exhibition looked how the landscapes around us—natural and artificial, urban and geologic, aquatic, terrestrial, and atmospheric— are interpreted, filtered, or otherwise augmented by instruments, devices, and machines. These themes are the mainstay of the group’s interests manifested in Manaugh’s teaching at Columbia University’s innovative Studio X Research Laboratory and his writing for BLDGBLOG and in Smout Allen’s teaching and architectural design proposals. Geoff Manaugh is a renowned essayist, author, curator and blogger with a unique vision of the intersection of art, architecture, landscape and conjecture. Mark Smout and Laura Allen are award winning architectural designers, researchers and Senior Lecturers based at the Bartlett School of Architecture, UCL. Their teaching and architecture studio promotes design as an architectural laboratory that merges imaginative speculation and making with design and research practice. Ross Anderson and Anna Gibb met whilst studying architecture in Aberdeen. Graduating whilst the UK is embroiled in recession has resulted in a challenging few years for each, as they begin their careers as young architects. They have found a creative freedom in entering architectural ideas competitions, as individuals and in collaboration with their peers, a welcome escape from the stresses and restrictions existing in their professional work. They have enjoyed a number of success's and all have allowed them an opportunity to experiment with new ideas and give thought to work they would not have experienced in their office environments. Ross is currently working as an architect in the North East of Scotland and Anna is living in Glasgow, working towards registering as an architect. Both have travelled widely in order to experience a variety of architecture from around the world; including South America, Australia, Hong Kong, and extensively within Europe. Ross and Anna are also passionate about art, photography and anything that involves craft, particularly hand drawing. Darryl Chen speculates on urbanism. Darryl's work rejects current orthodoxies in order to explore the perverse and underrated as source material for a provocative urban practice. His work has spanned community-based geo-engineering, self-incarcerating eco-villages and the possibilities of a 'productive dystopia'. Based in London, he is co-founder of thinktank Tomorrow's Thoughts Today and currently leads urbanism at Hawkins\Brown. After studying architecture in the leafy suburbs of Australia, he deep-dived into the megalopolises of Asia working variously as a jazz musician, magazine copyeditor, design correspondent, and in the terminally frustrating fashion industry before taking architectural postings in Shanghai and London. He has taught studios at the Architectural Association and Bartlett schools of architecture. dRMM, a London based international studio of architects and designers, was founded by Alex de Rijke, Philip Marsh and Sadie Morgan in 1995. The practice takes pride in carrying out work that is innovative, high quality and socially useful. It has a track record of creating extraordinary architecture within the standard constraints of the construction industry. dRMM’s radical projects are driven by site, client needs, concept and construction, rather than formulaic or style-based decisions. Research work at dRMM is driven by the imaginative reinterpretation of familiar problems, materials and construction methods. For this occasion dRMM has assembled a crack team of explorers, under the navigation of Professor Captain de Rijke. The team includes Explorer Pietri, architect and division leader, Explorer Eayrs, gonzo journalist, and Explorer Bonzai, a professional film maker dealing mostly but not always in architecture. Forum for Alternative Belfast is a not for profit organisation that advocates for a better environment and plan for Belfast. Mark Hackett is an architect and director in Forum, formerly a partner in Hackett Hall McKnight architects. In 2007 they won the competition to design the MAC arts centre shortly to be completed and opening in the Cathedral Quarter Belfast and in 2008 they won UK Young Architect of the Year. Mark left the partnership in June 2010 later becoming a full time director in Forum. He is external examiner in University of Dundee and has taught in architecture courses extensively since 1999. He is a board member of PLACE and ADAPT NI. Declan Hill is an architect and director in Forum since May 2011, formerly associate in charge of housing in Todd Architects where he had worked since 1998 having won a number of national awards for housing. Previously Declan worked for six years in Hamburg, Dresden and Berlin where he completed a number of large housing and office projects. Declan is a founder and board member of the Black Box in Belfast, and sits on the boards of Belfast Exposed gallery and Flax Arts studios. Public works (Torange Khonsari and Andreas Lang), Urban Projects Bureau (Alex Warnock-Smith) and Owen Pritchard work at the critical edge of architecture and design. They engage collaboratively in a range of cultural disciplines that blur the boundaries between architecture, art practice, urbanism, academia, journalism and critical discourse. Through combined practices, they work directly with the social, cultural and political realities of the contemporary city, and experiment with the spatial disciplines that surround architectural practice. As a team, they collaborate in various constellations, and are motivated by a shared interest in the political transformation of their role as architects, designers, thinkers and do-ers. Elias Redstone is an independent curator, writer, editor and consultant. He is the founder and curator of ARCHIZINES ¬– an international showcase of new architecture magazines, fanzines and journals – the editor-in-chief of the London Architecture Diary and an online columnist for the New York Times’ T Magazine. Previously, Elias was the curator of the Polish Pavilion at the 2010 Venice Architecture Biennale and hub curator of the 2008 London Festival of Architecture. He was senior curator at the Architecture Foundation, where he worked from 2003 to 2010 and initiated an international programme of exhibitions, events and film screenings. He has delivered projects in partnership with the Architectural Association, Barbican, British Council, Center for Architecture NYC, Design Museum, MoMA, Southbank Centre, Tate Modern and Victoria & Albert Museum; edited publications for Bedford Press and Sternberg Press; and acted as a contributing editor for Arena Homme Plus and GQ Style. Curatorial projects include Concrete Islands, I Shot Norman Foster, Hairywood and Southwark Lido. Elias holds an MSc in City Design & Social Science from the London School of Economics and was awarded a Winston Churchill Fellowship in 2008 to research contemporary architecture in Latin America. Liam Ross is an architect, lecturer and doctoral candidate at the Edinburgh School of Architecture and Landscape Architecture. He studied in Edinburgh and at the Architectural Association, and has practiced in London, New York and Edinburgh, principally with Malcolm Fraser Architects. His research concerns architecture as biopolitics, with a specific focus on the regulation of building; he is concerned with the ways in which - being regulated, becoming regulatory - architecture has comes to function as an extension of government, seeing its purpose as the safeguarding of the biological life of the population. His most recent publication on the topic is ‘Compliant Architecture: Regulatory Limits and the Materiality of Risk’, Candide No. 4, Actar 2011. Takero Shimazaki is a Director of Toh Shimazaki Architecture, t-sa, a London based practice founded with Yuli Toh. The office was set up in 1996 and has completed public and private projects in the UK and abroad, including Centre For Sight, OSh House and London Rowing Club among others. Shimazaki previously worked for Itsuko Hasegawa, Richard Rogers Partnership and Alison and Peter Smithson in Japan and the UK. Rosie McLaren and Meiri Shinohara of t-sa will be co-explorers; and Jennifer Frewen will be overseeing the overall coordination of the project. Shimazaki is an Intermediate Unit 2 Master at the Architectural Association and a Director of Toh Shimazaki Architecture Forum, an international school of architecture linked to the practice.